The seed of a small annual plant that looks similar to fennel when growing. Native to the Mediterranean and known for its characteristic “curry” flavor. 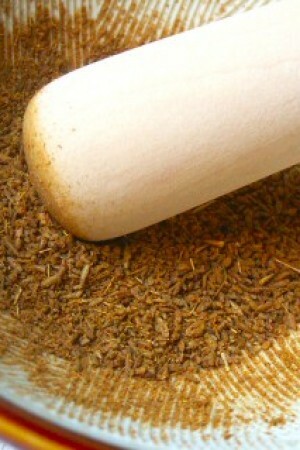 Cumin is second in popularity only to black pepper. Americans tend to use it mostly for chili, but its pungent flavor is a must in Indian, Mexican, Asian, Northern African, Middle Eastern and Latin American cooking. 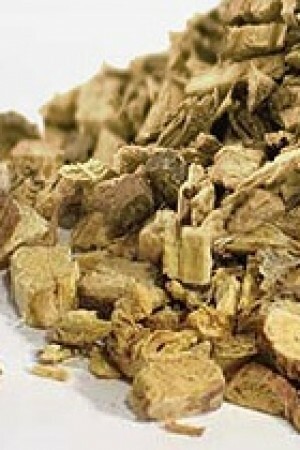 Cumin features in Moroccan recipes, although often in smaller quantities than in Indian recipes. 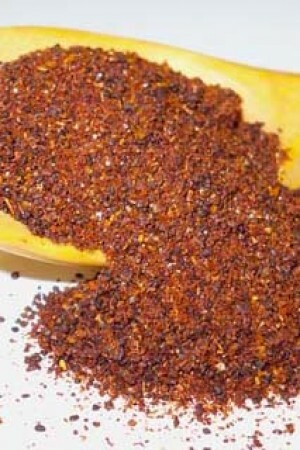 Ground cumin seeds are also an important ingredient in Mexican chili powder, along with chili and paprika. Mexican foods, both salsa and tacos, are heavily seasoned with cumin. Cumin is an excellent source of iron, an essential mineral necessary for the production of hemoglobin, required for circulating oxygen throughout the body. Iron deficiency leads to anemia, and is often associated with easy bruising. Cumin contains essential oils, which have disinfectant and antifungal properties, and may therefore be supportive of a healthy immune system. Cumin is also an excellent source of antioxidants vitamin A and E, which can help prevent premature aging supporting cell regeneration, and preventing the degeneration of human cells and tissues. 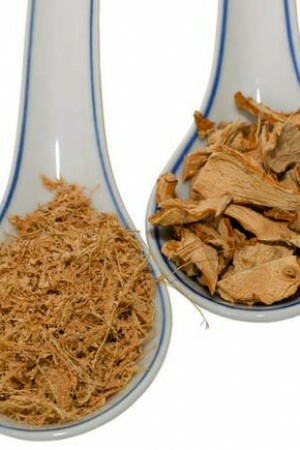 Cumin is considered to have stimulating effects on the intestines. Whole cumin seeds will retain their flavor quite well, however when ground be sure to store carefully in a well sealed container. 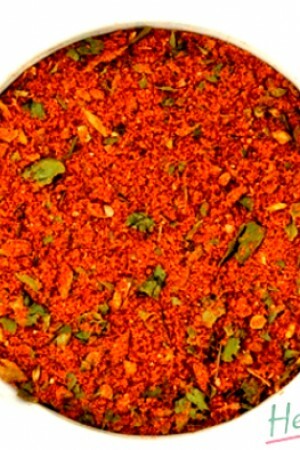 Good quality ground cumin seeds should be khaki in color and the powder has an “oily” feel. Due to the relatively high oil content, ground cumin can be dry roasted in a pan quite easily and without burning. 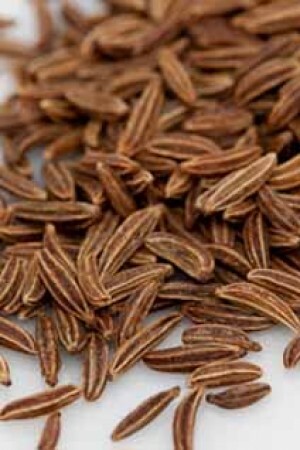 Black cumin seeds are smaller than standard cumin, dark brown (not black) and are usually dry roasted before using. 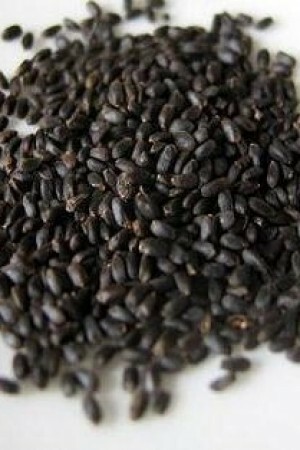 They are not to be confused with nigella seed (kolonji) which is often sold as black cumin.